I’m not entirely over my vacation. I miss it–a little. I bought very little, but I did manage to get myself a few little souvenirs. This book is one of my favorite things. 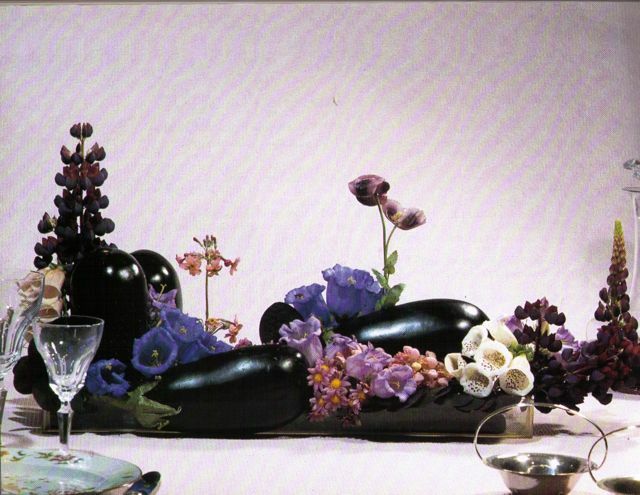 It combines flowers and food–what else could be more perfect for me? 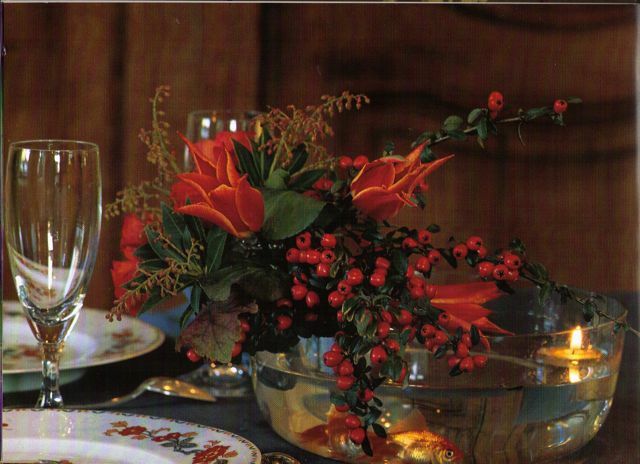 Thus the idea was born to present a collection of complimentary recipes and bouquets. From small lunches to large galas, create an occasion to host friends. Give a theme to your receptions. Taste and imagination alone can bring the heart joy. In summer, think of refined simplicity and soft colors, or use a bit of eccentricity to accent the fragrances that emit from your kitchen. 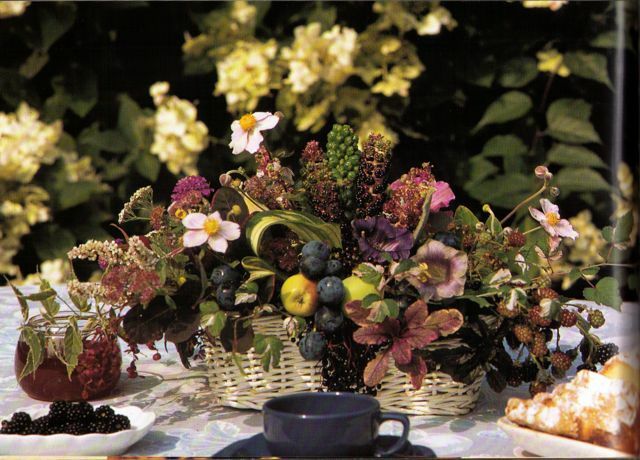 By using the charm of flowers, your garden will grace your table with its colors, and accent your menu choices. Some original and unexpected ideas will give your tables a personal touch–and even provide amusement. 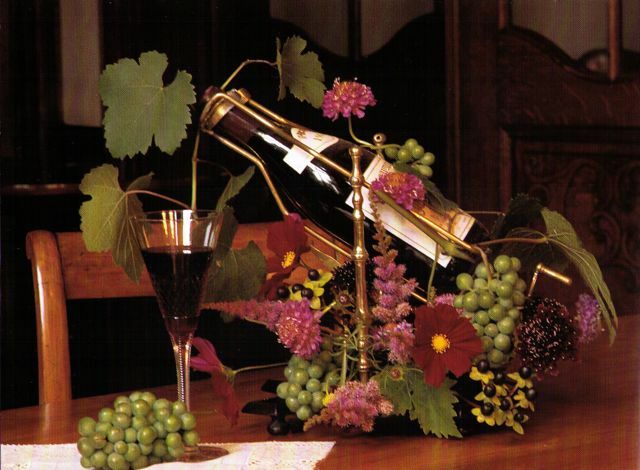 Whether it be the Beaujolais nouveau or basket of apples from your orchard, the beginning of the fishing season or a welcome home, a red dinner, a white dinner, a dinner on the grass… the fanciful possibilities created with flowers, color, and food will make you the envy of all your guests! It’s taking a lot of restraint to not scan the entire book. Maybe I’ll have to start publishing one arrangement/recipe pairing per day. I found a website where the book is available for purchase, for about the same price I paid in the used book store in Biarritz. 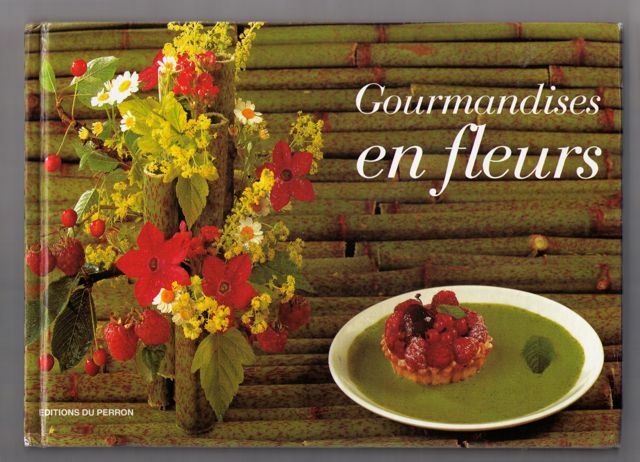 I’m dying to try the Magret de canard au miel et au vinaigre de cidre in my kitchen (yes, duck figurines are featured in the accompanying arrangment in Gourmandise en fleurs)!